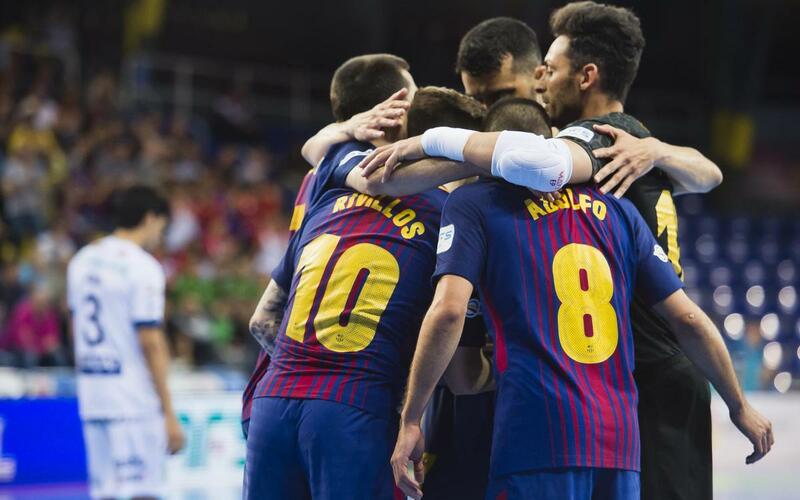 FC Barcelona Lassa are through to the semi-finals of the LNFS playoffs by the fast route after winning game two of the best-of-three quarter final series against Ríos Renovables Zaragoza by the same score as in the first game, 4-1. Adolfo, Rivillos, Ferrao and Lozano scored the goals in a game that was preceded by the players parading the recently conquered Copa del Rey before the fans. The Catalans will now play Palma or ElPozo Múrcia for a place in the final.